1- Once launched, You will be looking at the nodes in the top level of the expected xml file. 2- Add as much root nodes as you need. 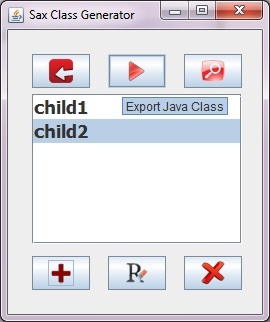 3- For any node with children, Browse it and add nodes inside. 4- Do step 3 for all nodes with children. 5- Finally export the structure -e.g. Create the java class. Enjoy it! I think it saves lots of times and spans your whole xml structure. I hope that you all know how to use the class. In case you don't. Your job is to fill in the blanks in the class created so that you can instantiate objects of your own or Arrays or any sort of data that the xml contains. Don't forget to check out https://thefreshimages.com/krishna-images.html on The Fresh Images.